With three length versions (Compact, Long and Extralong), three wheelbases and three loading lengths (up to 1,258 mm), flexibility is definitely the strong point of the Mercedes-Benz Citan van. 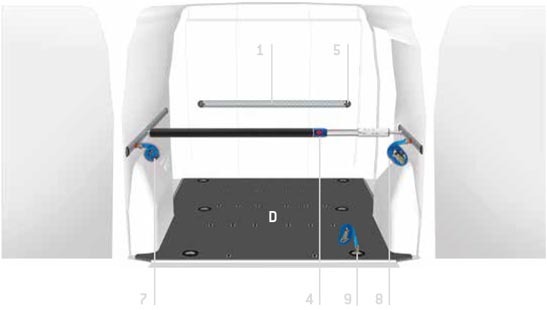 Whatever the dimensions of the cargo area, of your chosen version, we are able to offer you, tailor-made, the right solution for protecting the bodywork from wear and rust. Choose Store Van linings for commercial vehicles: we offer polypropylene honeycomb panelling and phenol resin-bonded marine plywood (9 mm) flooring shaped to fit around the vehicle’s original load anchoring fixtures.